Laurie joined Dere Street in 2012 and brings with her a wealth of experience in the legal field gained in a variety of different roles, making Laurie the accomplished and experienced lawyer and advocate she is today. Laurie has a busy practice advising and representing both claimants and defendants in all matters relating to personal injury, encompassing road traffic accidents, employers’ liability and public liability. Laurie also regularly delivers CPD accredited training in these areas. She is noted for her robust presentation of her client’s case, together with her friendly and approachable manner with lay clients and professional clients alike. Laurie’s legal career began in 2003 as a personal injury clerk for a large North East law firm with a strong trade union background. That position led onto a role with a local authority involving the investigation of accidents and illnesses caused at work and defending claims made by employees, giving Laurie a particular interest in this area. Laurie qualified as a solicitor in 2007 and continued her work in personal injury, now providing representation for claimants in the full range of personal injury claims. Having previously qualified as a solicitor and practised as such puts Laurie in the position of understanding the expectations and demands of her professional clients. Laurie is also in the advantageous position of having gained almost equal experience in both claimant and defendant work, ensuring a balanced approach and giving her a valuable insight into ‘what the other side is thinking’. 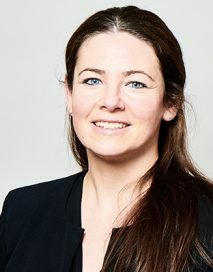 Laurie completed pupillage with the Crown Prosecution Service in 2008. For large portions of her time with the CPS Laurie appeared in Magistrates courts on a daily basis conducting back to back trials and gaining a wealth of trial advocacy experience. She also undertook extensive in-house training in amongst other things, disclosure, drafting indictments and witness handling. She developed an expertise in youth justice and cases involving young witnesses, and domestic violence. Since leaving the CPS in 2012 Laurie has in a short space of time developed a busy Crown Court practice. She prosecutes and defends a range of serious offences in the Crown Court. Laurie is regarded for her pro-active approach to case management and the relationships which she forges with instructing solicitors, CPS reviewing lawyers and the police. She is diligent and reliable in providing the written advice and applications which accompany her court appearances. Laurie’s ability and regard is demonstrated not least by the fact that whilst not yet a member of the RASSO panel Laurie has been entrusted to prosecute a number of cases in the youth court involving young persons charged with serious sexual offences (see below). Laurie has an in depth knowledge of the law and procedure relating to immigration, asylum, leave to remain, deportation and entry clearance. Laurie regularly travels to immigration centres around the country and has successfully represented clients at both First and Upper Tier Immigration Appeals. Having previously worked for the Crown Prosecution Service Laurie brings her experience and training on the Code for Crown Prosecutors into her regulatory work, providing thorough and balanced advice on the merits of undertaking regulatory prosecutions. Laurie was also previously employed by a large North East local authority, working closely with their health and safety team to investigate accidents at work, ensure compliance with reporting obligations, and prevent re-occurrence, giving her a particular interest in this area. Laurie also accepts instructions in all matters relating to housing. Laurie has been certified by the Bar Council to provide Direct Access work and is delighted to receive enquiries for any type of legal advice, drafting or representation directly from members of the public via our clerks. Laurie prosecuted two Defendants charged with the theft and handling of jewellery stolen by a healthcare worker from patients at Scarborough Hospital. The female healthcare worker who stole the items despite being of previous good character received an immediate custodial sentence and the case attracted considerable local press interest. Laurie was instructed to prosecute a youth Defendant (aged seventeen) charged with a number of allegations of penetrative sexual activity with his two younger step brothers (aged four and five). The Defendant was convicted of all charges. Laurie was instructed to prosecute a youth Defendant (aged seventeen) charged with allegations of sexual assault by penetration against two young females aged twelve and thirteen. The Defendant was convicted of all charges.